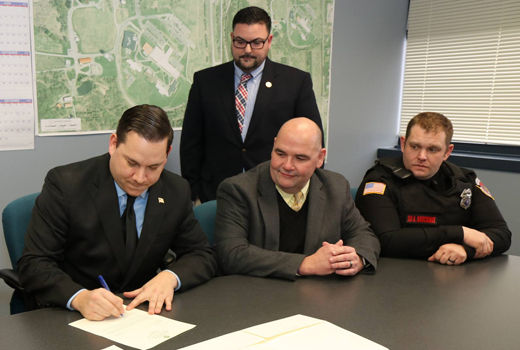 County Executive Ryan McMahon, at left, signed a directive voluntarily recognizing the new bargaining unit. 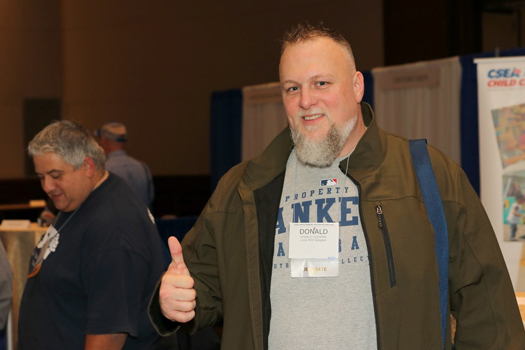 He was joined by CSEA Onondaga County Local President Dan Vadala, Corrections Unit President Adam Brockway, and CSEA Labor Relations Specialist Michael Nesci. 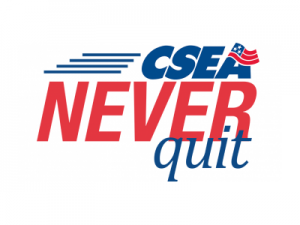 Thanks to Central Region President Kenny Greenleaf, Region Treasurer Nicole Meeks and this great group of CSEA activists (and friends and family) for organizing and distributing food and other donations for furloughed Federal TSA workers who are in need. 1st Vice President, Don Cushman, at the 108th Annual Delegates Meeting. 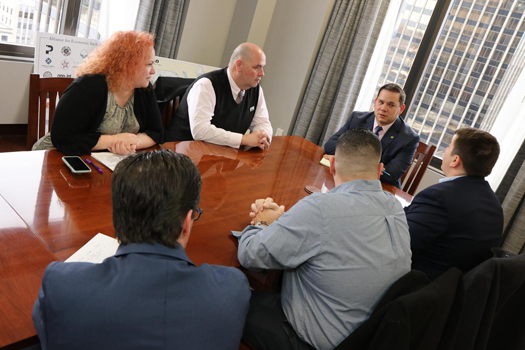 Local 834 President Dan Vadala, Executive Vice President Tammy Honeywell, Labor Relations Specialist Mike Nesci and Political Action Coordinator Josh Schick met with new County Executive Ryan McMahon and his Deputy County Executive, Brian Donnelly.